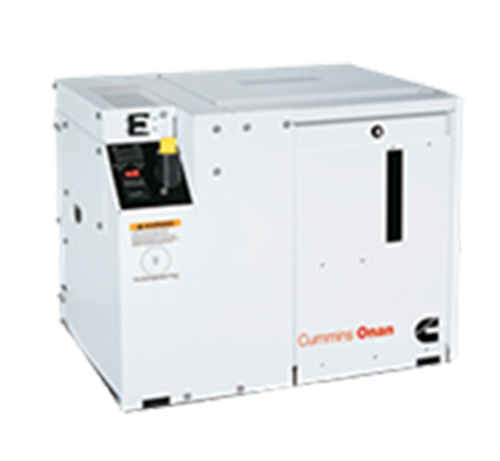 With more than 80 years of marine experience gained by supplying generators for commercial, recreational and government marine applications globally, Cummins line of marine generator sets include Cummins Onan and C Power generator sets for ship’s service and emergency power, as well as diesel electric propulsion. Every major component Cummins marine generator sets, including the engine, alternator and control system, is either designed and manufactured or integrated by divisions of the Cummins family. This means all elements of the generator set are engineered to operate with complete system harmony for optimal performance and maximum efficiency. Marine Electric Technologies sells, services and warranty-repairs all Cumins marine generators. The Cummins Onan Digital Display provides user-friendly diagnostics including extensive engine and alternator information and more. The optimized mounting system greatly reduces vibration. Monitor and control the generator form anywhere on the vessel, even at multiple locations. Electronic frequency control – a must for digital appliances and computers requiring quality power.